I have a confession to make. These past two weeks, I’ve been a very poor writer. And it’s all Seanan McGuire‘s fault. Don’t get me wrong, Ms. McGuire is a great writer, but that’s the problem. Thanks to her October Daye novels, I haven’t gotten any work done. I haven’t done any writing and I’ve barely done any packing. I’ve done nothing except read–read, read, read, as fast as I can, followed by flying trips to the library for more of her books. Considering I’m moving in a week, that’s a problem. No, what’s more of a problem is the fact that the library doesn’t have the latest two October Daye novels. Once I finish reading Chimes at Midnight (sometime later this afternoon), I’m going to be out of books. Wah! I’m seriously thinking about ordering the entire series as an early Christmas gift to myself, but there’s the move to consider. Really, how responsible would it be to buy books while I’m in the middle of moving? What if they get lost in the mail? Besides, I don’t have anywhere to put them. Although, that’s never stopped me before . . . . This week I read . . . .
Everyone, meet Kage Baker. 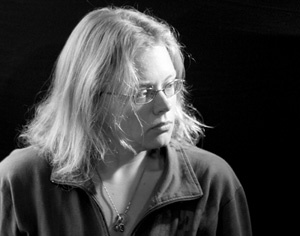 Kage Baker died in 2010, but before she died, she wrote several sci-fi and fantasy novels. Her fantasy novels include The Anvil of the World, The House of the Stage, and The Bird of the River. These three novels all take place in the same colorful world. I’m sad Mrs. Baker didn’t have a chance to write more novels in this world. Her world has so much potential for more stories. I enjoyed her pacing, the plots, and the bits of humor she sneaks in every now and then. If her fantasy novels read this well, then perhaps I’ll consider her sci-fi books as well. This week, I went to the local library and found a new favorite author. Her name is Catherine Asaro, and she’s written multiple sci-fi and fantasy books. I have just finished reading her Lost Continent series, and I have to say, I’m sorry to see them go. She created a fabulous, wonderful story world for her characters to play around in. Her books kept me up all night because I had to know what happened next. The romance portions of the stories were clean and some of the best I’ve read in a while. If I had my way, I’d do nothing but read them all day. Alas, someone has to clean the house. Unfortunately. Every since I finished writing my story, I have a little bit more time to read. 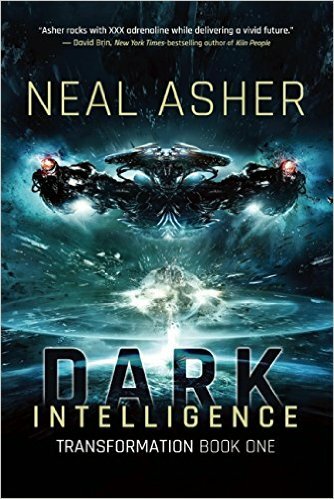 Recently, I read Neal Asher’s book Dark Intelligence. It’s the first science fiction book that I’ve read in a while, and I was surprised by how much I enjoyed it. One of the thing’s I liked best about this book is Asher’s use of language and tone. For a story taking place light years away and centuries in the future, readers are not overwhelmed with fancy language, info dumps, or haughty tones. When I read it, I immediately could tell that the main character was just another guy. Simple, direct, and easy to comprehend. Only later do readers really understand how smart he is. Another thing I found intriguing were the AI’s. In this story, science and society has progressed to the point where most people don’t worship God–they worship computers. The AIs in this world are more than just computers–they are gods ruling over men. They are all knowing and frighteningly powerful. But what happens when computers get too smart and too powerful? That’s only one of the themes Neal Asher plays with. Neal Asher also has an interesting interpretation of reincarnation. In this world, death and the afterlife are no longer out of people’s control. Everyone’s memories and identities are recorded on computer chips, which can then be put into clones upon a person’s death. If you die, you don’t have to stay dead. If you don’t want to be reincarnated, your memories get downloaded into a Soul Bank. There, you live on in virtual realities of your own choice and design. While this story is very well written and kept me wanting to read more. However, I wouldn’t recommend it to everyone. The notions of computers being this powerful and smart, or of people having so much control over the human body that they can defy and control death so utterly bothers me. If you have problems with this, or with depraved societies from the far future doing whatever they want with seemingly no consequence–then maybe this book isn’t for you. Of course, you can’t do anything you want without consequences, nor are you ever truly in complete control. Many of the characters find this out the hard way, and that is also what this story is about. 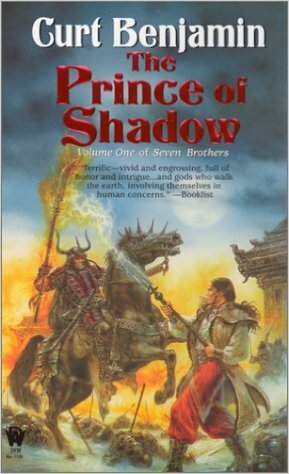 This book is only the first in a series. If I happen to see other Neal Asher books in the library, I’ll definitely pick them up and check them out.